Decker is a 5 year old brindle male born in 2012. He was part of the population from the blood bank facility located in Cherokee, TX that closed in November 2017. Decker was successfully treated for a positive titer to Ehrlichia Canis. 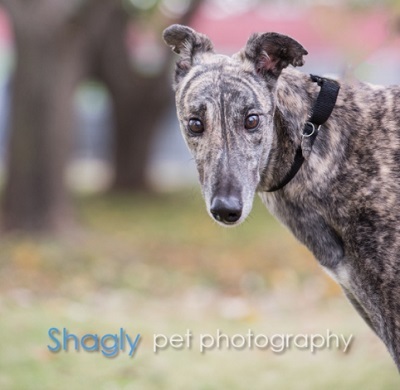 This handsome brindle boy is ready to find his forever home! Decker is not considered to be cat tolerant at this time. Small dogs are not known yet. Looking to connect with an “old soul”? 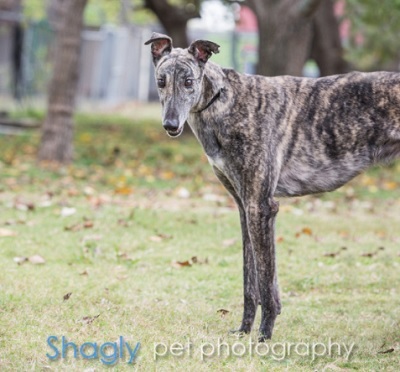 Decker is a tall cool drink of water; an amazingly gorgeous 5 year old brindle boy with large and enchanting eyes that can tear a hole in your heart. Decker is a calm boy that seems to have a “been there, seen that” vibe. Although he may take a couple of weeks to warm to new surroundings (don’t we all?) he is open to affection and adores being petted and groomed. He loves his food and is trainable with high value snacks. He loves low key play at least once a day and seems to spread his fondness among the toy collection, and not give one toy too much attention so that the other ones aren’t left out. Decker’s an excellent pack mate, not showing signs of possessiveness over space, toys, or food (although he does clean up after anyone’s unfinished meal). He seems to want everyone as calm and happy as he could be in your forever home. He currently has access to a dog door, though for the first weeks at his latest foster home he adjusted quickly to house training. Decker enjoys the company of other hounds and does not need to be crated to be comfortable. His ideal forever family will want to add this great boy to an existing pack with someone else as alpha; a quiet low activity home with no kitties will suit him best. In sum, Decker knows a lot about life, maybe because he’s seen a lot. The special medical treatment cost needed by Decker is why the Miss Mesa Fund was established. If you would like to help with Decker's care, please take a moment to make a donation to the fund. You WILL and CAN make a difference in Decker's life and the lives of other greyhounds in need of special medical care. Your help and support will make a difference - one greyhound at a time. Please note Miss Mesa Fund/Decker on your check.